In 2015, the U.S. Forest Service spent over half the agency's budget on fighting wildfires. A smarter approach is to invest in restoring forests to protect lives, property, and the economy. The upcoming Farm Bill is the place to start. Although the first quarter of 2017 is barely over, Congress is already working on one piece of must-pass legislation for 2018 – the next Farm Bill. This bill impacts nearly all rural landowners, farmers and ranchers from coast to coast. In our home state, Senator Michael Bennet has been on a listening tour to hear what Colorado residents want to see in the next Farm Bill. And in Washington, D.C., there has been a flurry of hearings to confirm the next Department of Agriculture secretary and determine the priorities for U.S. farm policy for the next five years. As Congress digs into this legislation, there is one essential part of the Farm Bill that must not be given short shrift: the section that covers U.S. forest policy. The U.S. Forest Service and many of its related agencies are housed in the U.S. Department of Agriculture and therefore covered by the Farm Bill. We live on 35 forested acres on the Front Range in Conifer, Colorado. Our land is part of the Upper South Platte Watershed, which supplies much of the water for Denver. The forestland in the watershed acts as a natural filter, cleaning the city’s water supply every day. But unfortunately, many of these forests are overgrown and unhealthy, making them susceptible to threats. 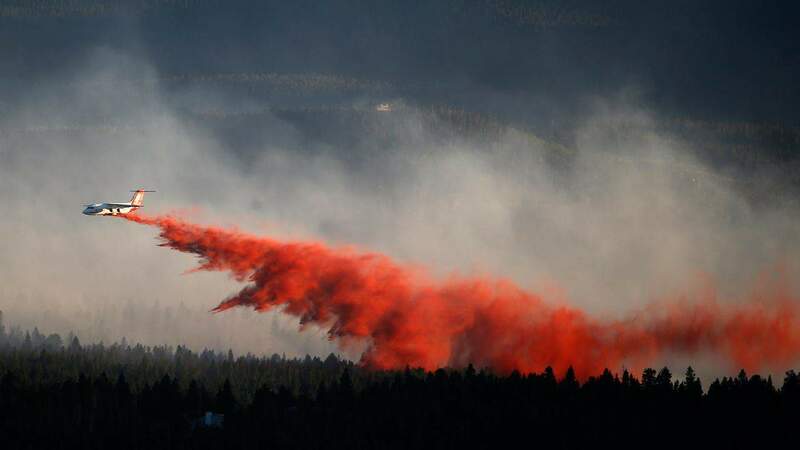 Since 1996, there have been five catastrophic forest fires in this watershed, affecting not just the foothills’ residents, but anyone living in Denver who depends on a stream of clean water when they turn on their tap. Similar situations have occurred all across the West. In fact, the American Forest Foundation recently reported that more than 630,000 acres of private land in watersheds like Denver’s are at high fire risk. To mitigate the impact of future wildfires, these forests need restoration. This is easier said than done for landowners like ourselves. Because timber harvesting on public lands has decreased over the last several decades, mills across the West have closed. With few places to sell our wood, most can’t afford the $2,500 per acre cost to thin and restore forest land without help. This is where the Farm Bill comes into the picture. Thanks to the forestry and conservation programs, such as the Environmental Quality Incentives Program (EQIP) in the Farm Bill, landowners like ourselves can receive cost-share assistance to help with forest maintenance. These programs save money in the long run by significantly reducing the costs incurred in controlling the severity of these fires. Recently, we were able to participate in a forest management project run by the Jefferson Conservation District to restore our forestland to a healthier state. Several of our neighbors also participated in order to improve the health of the whole landscape. With assistance from EQIP, we are working to treat the trees across our watershed. This is just one example of how programs like EQIP are vital to ensuring the health of our watersheds and protecting the water supply for millions of Americans. We hope Congress continues to support programs like EQIP in the next Farm Bill. We also ask that Congress help create efficiencies in land restoration across public and private land. Forests in Colorado are a patchwork of ownerships. The threats these forests face from forest fires or insect infestation do not respect legal boundaries. We need Congress to encourage work across all neighboring lands whether, federal, state or privately owned to treat larger terrain. Doing this work on a landscape scale greatly enhances the positive impact of the effort made. Finally, the Farm Bill must support strong markets for timber and other wood fiber. No amount of federal cost assistance will help all landowners, but a diversity of markets to sell their wood can also help defray the cost for necessary management efforts. This can be done in several ways. Congress can support research and development into new and improved timber products, such as cross-laminated timber for tall buildings. Congress can also provide support for biomass energy development. We know budgets are tight. In fact, the president’s budget calls for a 21 percent cut to the Agriculture Department’s funding, including programs in the Farm Bill. However, these policies must stay intact if we are to create healthy forests and reduce the long-term devastation from catastrophic fires and continue to support clean water for Americans. 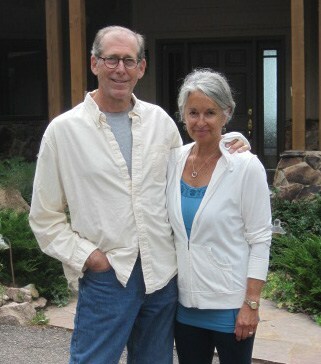 Nancy and Ed Zorensky are certified tree farmers who live in Conifer, Colorado.